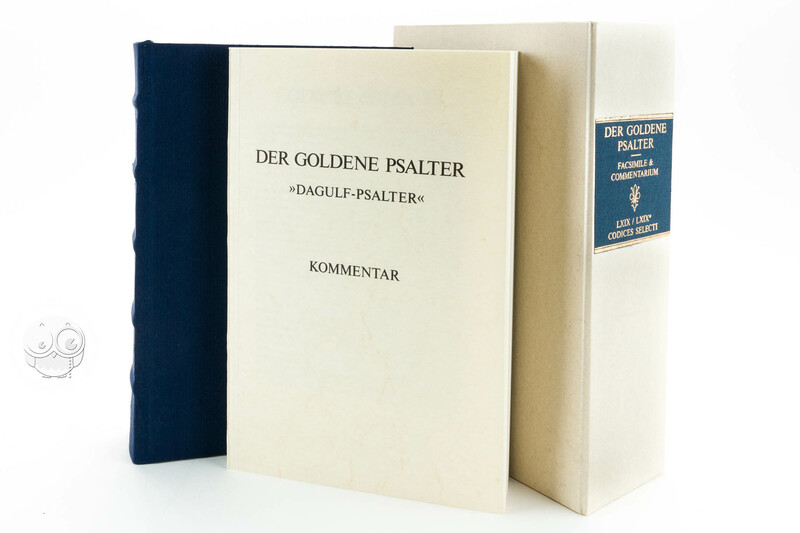 The so-called Golden Psalter of Charlemagne or Dagulf Psalter (from the name of the scribe who copied it), is one of the manuscripts which originated from the royal Palace School: it was crafted before Charlemagne's imperial coronation in 800 AD. 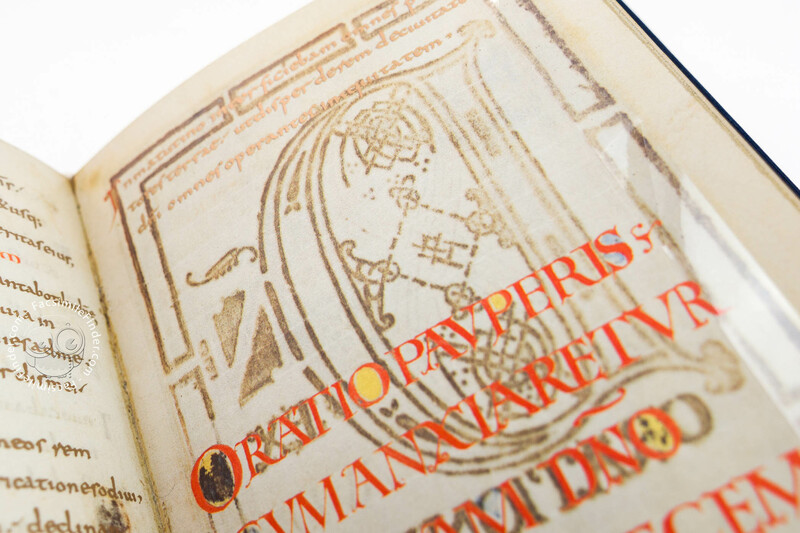 This collection of the 150 psalms from the Old Testament is witness to two different periods in the Carolingian School of illumination. 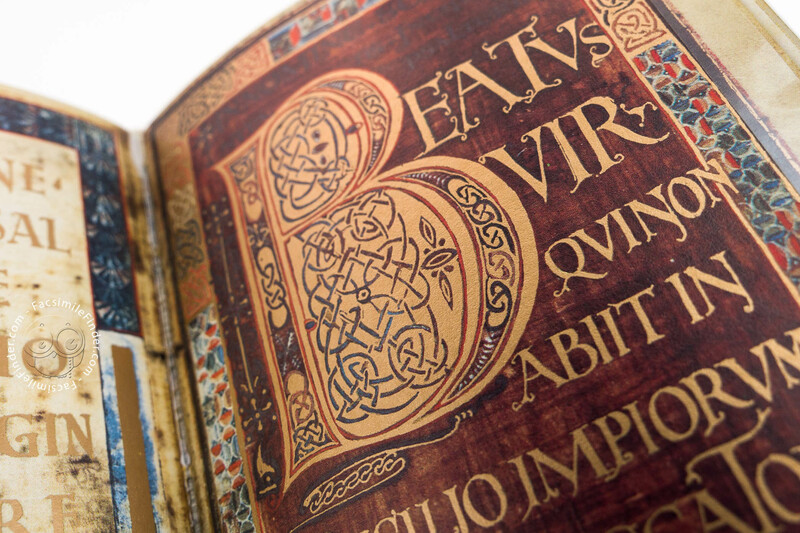 The first section, dating back to 783-789, may have been produced Worms and Metz. 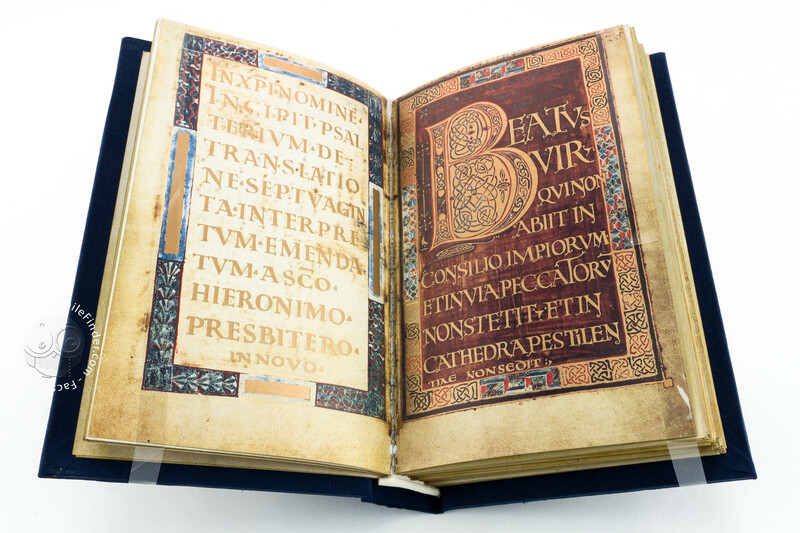 On the other hand, the codex was eventually completed in Aachen between 790 and 795. The Dagulf Psalter is therefore a perfect example of how the Palace School evolved, from being 'scattered' in different places to its establishment at Aachen after the Palatinate was restored. 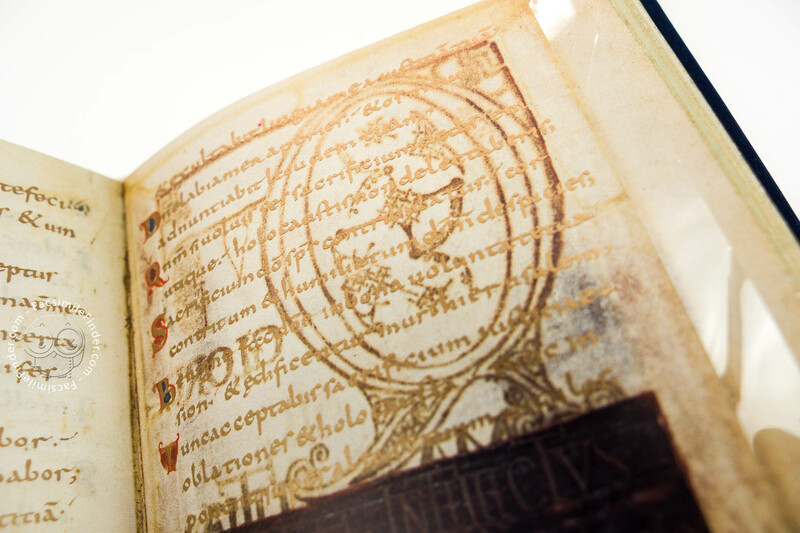 The manuscript's general layout and 'feel' tells us that it was not meant to be used in public liturgical feats: rather, it was crafted for someone in particular, possibly Charlemagne's spouse Hildegard. The codex's format, too points in this direction. 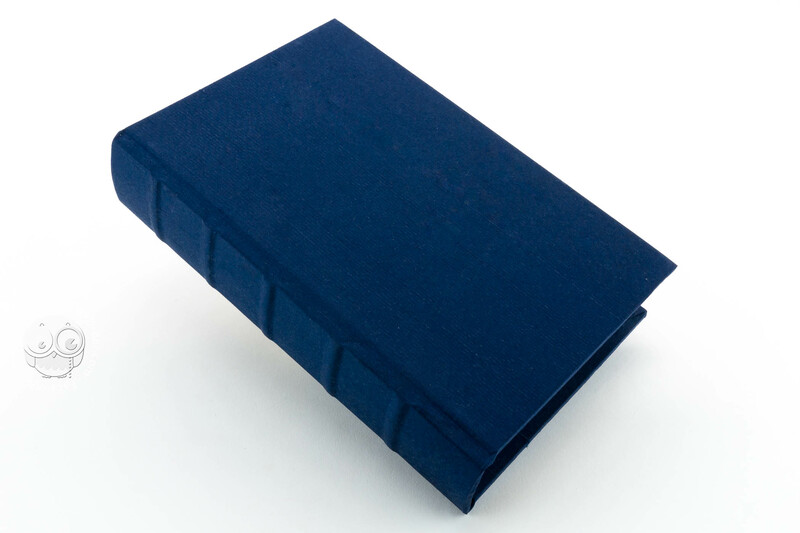 Nevertheless, the manuscript is incredibly opulent, just like those used in services. 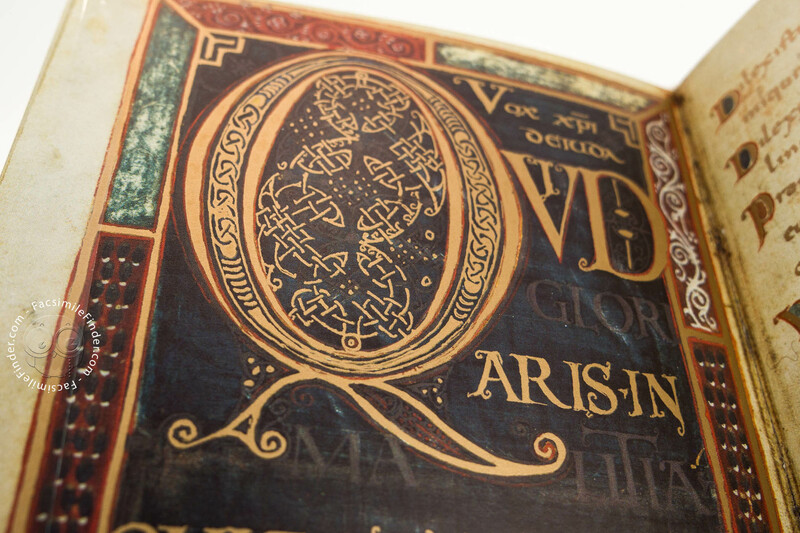 Dagulf, the scribe, who left his name in a poem dedicated to the king, employed an outstanding variety of scripts for the psalter, as often found in books from this periods. 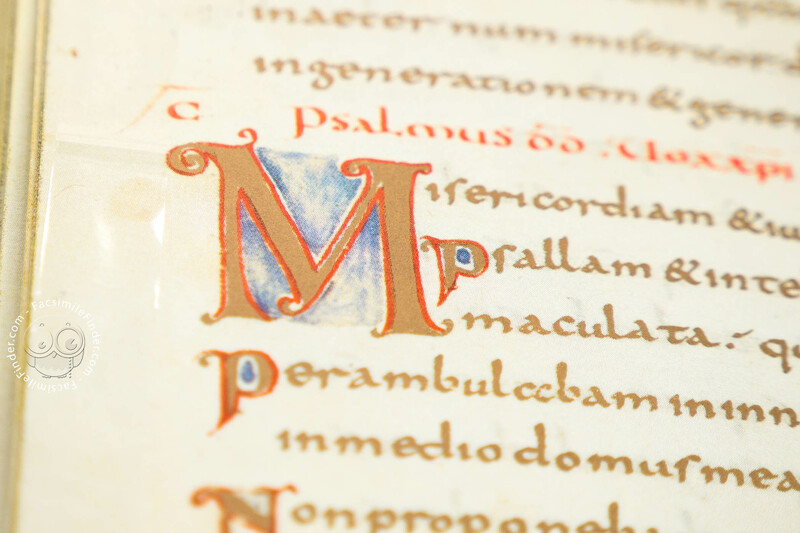 The beautiful Caroline minuscule he penned, in particular, is one of the best examples of its kind. 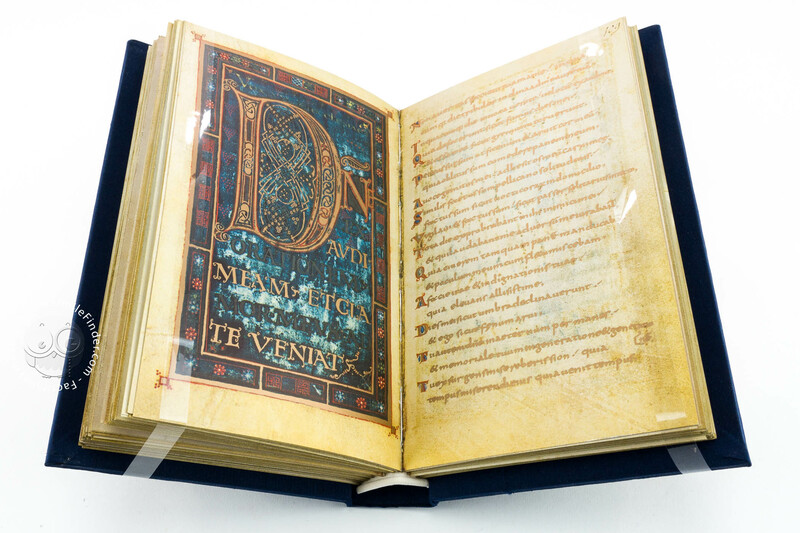 In its decorated pages, the Dagulf Psalter displays a variety of gorgeously crafted illustrations that encompass a wide range of colorful tones and golden nuances. 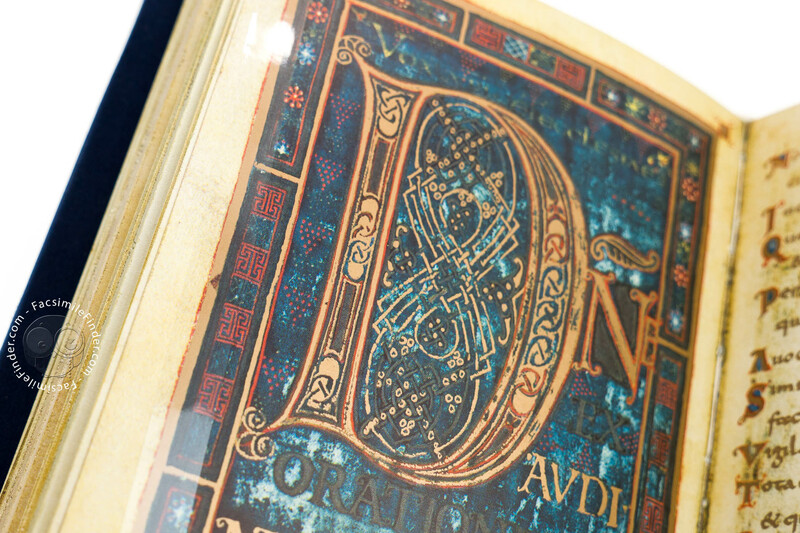 The decoration's charm is also enhanced by some kind of 'tension' found in them: one sees a touch of improvisation, especially in the elaborate frames, that make the manuscript even more outstanding. One must only look at the frontispice, with its unusual use of color, blue shading and gold, all set on a golden background. However, one element predominates: the interlace, which is found in many declinations. 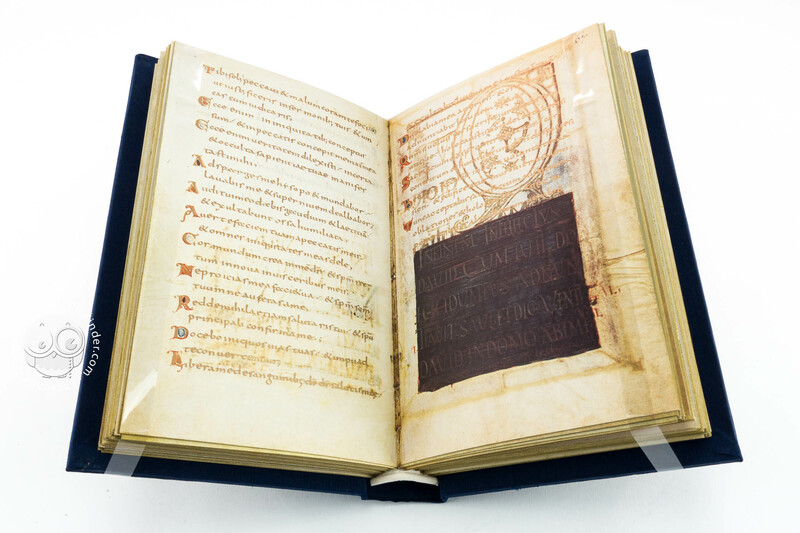 Manuscript book on parchment − 19.1 × 12 cm − 324 pp. 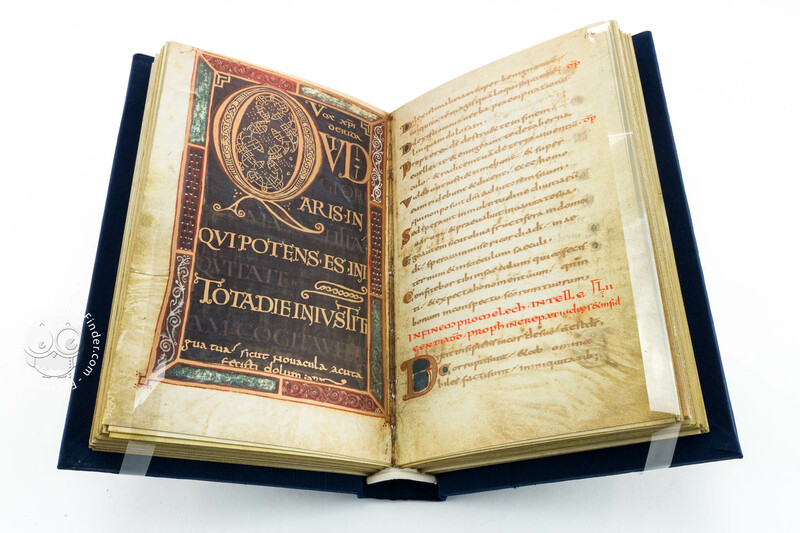 Full-size color reproduction of the entire original document, Golden Psalter of Charlemagne (Dagulf Psalter): the facsimile attempts to replicate the look-and-feel and physical features of the original document; pages are trimmed according to the original format; the binding might not be consistent with the current document binding.